We do see a triangular pattern present in the Septiles, and we believe that this means that this is a good time to help others less fortunate than yourself without expectations of any returns. You may obtain an important glimpse of the future in the process of giving. 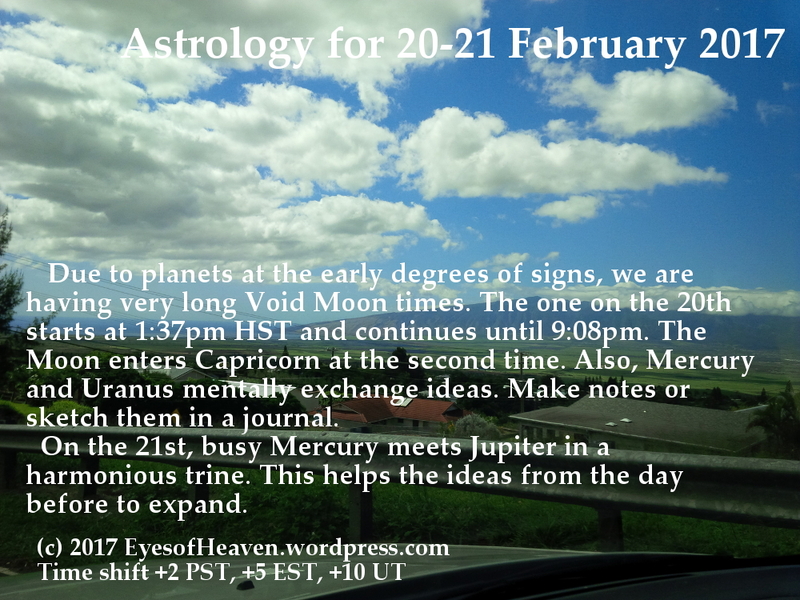 Although a horary format is not technically appropriate for such an event, we present it anyway for the useful information that can be used in other ways. One way I like to use it is to reverse engineer: what question would I be asking if I saw a chart like this? In this case, the question is something like this: “Can I trust the opinion of my friends about my money/new job?” The answer is, succinctly, NO! The Moon is peregrine (thieves, not trustworthy) in the 11th house of Friends and conjunct Saturn; both are at 27 degrees. The last three degrees of anything are often “fate” and frequently void and generally unfavorable. And as many as six (or more) are operating together to steer you in the wrong direction. This is one time to NOT follow the “wisdom of crowds.” Keep your own counsel! But the Sun is at 0 degrees (of course!) in the 2nd house of Money, so we do not get a “real answer” about the money / job just yet. It will come soon enough, maybe in a few days or possibly up to three weeks (after Mercury goes Retrograde and some misplaced message is found or vice versa). Just persist, and as much as possible keep your plans to yourself. Noting the triple crossing in Canada, a few hundred miles north of Burlington VT, we think something interesting might happen there. A piece called “MAD PROPHECY, BAD ASTROLOGY AND THE TRUMP WIN” by McCleary has inspired me to write a followup. The most important point made is one I completely agree with: astrology and Christianity should NOT be viewed as in conflict. The conflict emerged, and emerges, any time an intermediary attempts to interpret God (or “the Gods” or “the Cosmic” or however you conceive of God, assuming you are not an atheist or agnostic). That said, once the motives of money and power are stripped out of the process (which is one of the main reasons why Grandtrines is both anonymous and not for profit), an entirely new dynamic emerges. “Getting it wrong” can still happen, but the mistakes tend to be “honest” ones. So, noting modifications that must be necessary (refer to “Zeitgeist,” which we referenced in our previous post), astrologers CAN be based in Christianity (much to the chagrin of both non-Christian astrologers and fundamentalist Christians). You may not agree with that, but we are living in the times of Uranus (Aries) square Pluto (Capricorn), and awakenings to ideas outside of the standard mental “boxes” are happening. For anyone well read enough to know it, one of the old classics in Astrology in the 1600’s was titled “Christian Astrology.” Somehow “we” have forgotten or ignore that despite it being one of the most important books ever written regarding Western Astrology. And, hmm, wonder why he titled it that? Since my beliefs do not seem to fit with much of anyone (other than McCleary and Lilly and a few like-minded readers), I ordinarily do not discuss those beliefs. The power they can wield, and money they can make through their influence, is extraordinarily corrupting. And that is both why THEY “got it wrong” AND why Trump was elected. Enough of us are fed up with the crap this broken system has been putting out that we voted for Trump and halted them from putting their chosen darling into the highest office of the land. For once, we won. The lamestream media would have us believe that Trump was the KKK president and all that rot. That is what they WANTED us to believe, and that is what they repeatedly published. But, is that really accurate? Have you not heard this? If not, then maybe you are getting too many of your “facts” from television news. And if both of those things are true, that you did not know what Brewer states but do get your “facts” from television, chances are good you are a Democrat (or Dem leaning independent). 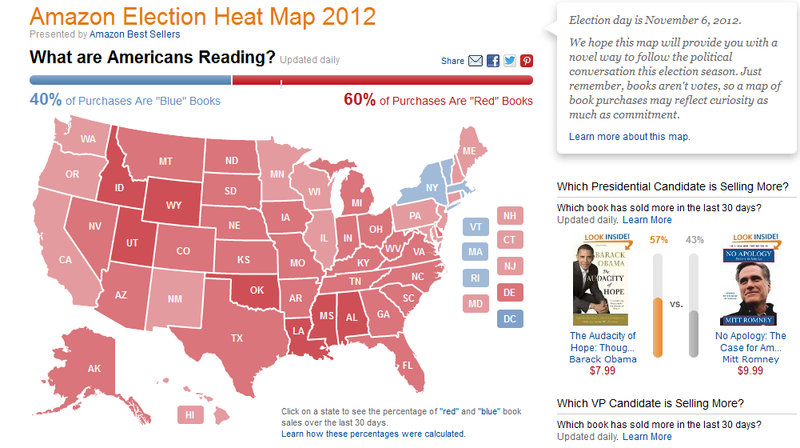 That heat map is the kind of thing lamestream media wishes would disappear. Again, you might ask, “Why?” The answer is that it tends to indicate that Republicans (and conservative independents and Libertarians) tend to read while Democrats (and liberal independents and Libertarians) tend to watch television. Sales of paper-based books are dropping, and the pundits and “experts” tended to write off people who read in favor of the dumbed-down television audiences. But the reasons why paper-based book and newspaper sales are dropping is because those are being displaced by the Internet where, despite the prevalence of Youtube and other “tube sites,” Internet users tend to read, just as you are doing at this moment! “We” (Internet users) are a totally new ballgame, and we are a huge and growing audience. In that election (Truman), the pollsters were wrong because they thought checking the automobile registration rolls and phone books were enough for a “representative sample.” But enough people who did not have either cars or telephones voted to make a big difference. That same kind of thing happened this time, but it is television viewers who drink the lamestream media Kool-aid as opposed to more discerning Internet audiences. The conservatives, now, have become the “rebels.” (Maybe not the best way to say that. If you are a liberal and a “rebel” then it refers to mythic poetry of Star Wars, and you are a hero. If you are a conservative and a “rebel” then you are considered a de facto white supremacist. How is THAT for chicken-sh*t double talk? It ain’t just “Crooked Hillary” that is out lyin’.) Jack Brewer has a good point about the lies and deception coming out of the “liberals.” And people, black, white, latino, asian and other, are awfully tired of it. Mark my words, the election of Donald Trump to the White House is just the beginning. This is not just about a somewhat vitriolic conservative going into office. It is not just about the fact that NAFTA and Obama-care are abominations. (Free trade is needed, and health care reform is needed (“pre-existing conditions” were just a way to cheat the public), but “open borders” is not the answer and the “Affordable Care Act” has been a disaster.) New lines are being drawn. The Pluto Return for the United States circa 2020 will tell us just how much. Normally the End does not occur in one minute of the last day… 🙂 especially if we are talking about a cycle where the End may take quite a long period and even can be divided into several parts. In the Saros cycle at least 3 Solar Eclipses symbolize the End: 18S, 19N and 19S. 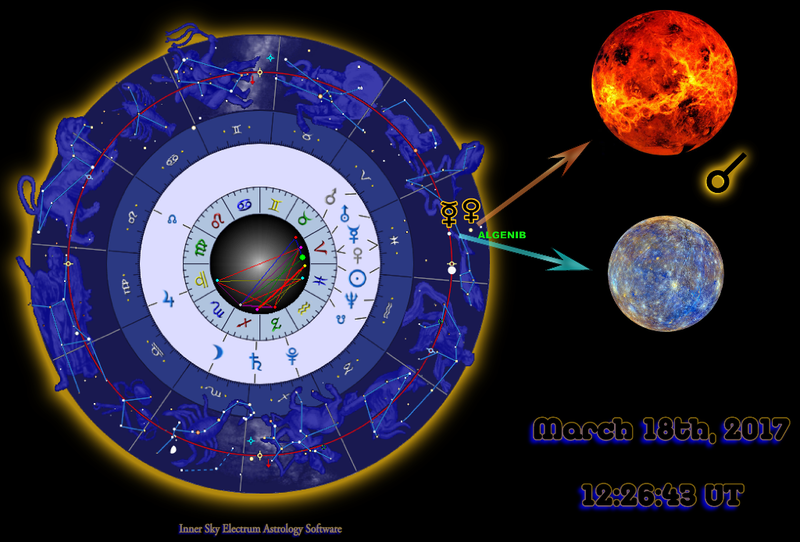 Currently we are passing through 19N period https://astrologicdiary.wordpress.com/2016/07/28/september-1-annular-solar-eclipse/ and approaching 19S Solar Eclipse which will take place on February 26, 2017. I will not describe all the events that might confirm this chart really worked. I would say we have a sufficient number of them, and if you follow the world news, you certainly know. So, 19S Eclipse is the next chapter in our history.